I came across this excellent book. Download the PDF. 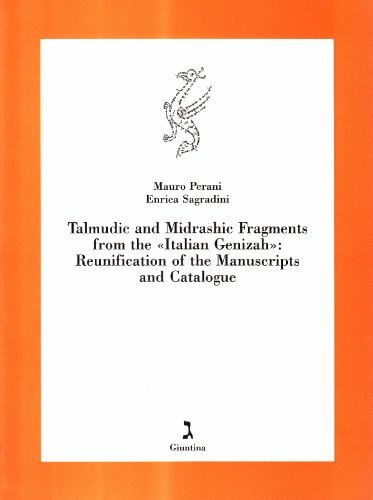 Excellent book about the Italian Geniza fragments. Contains many photos of folios of the manuscripts in the back. I came across this fascinating website which talks about various fragments of Hebrew manuscripts that were discovered in book bindings. The site contains some nice images of selected fragments. Read it here.